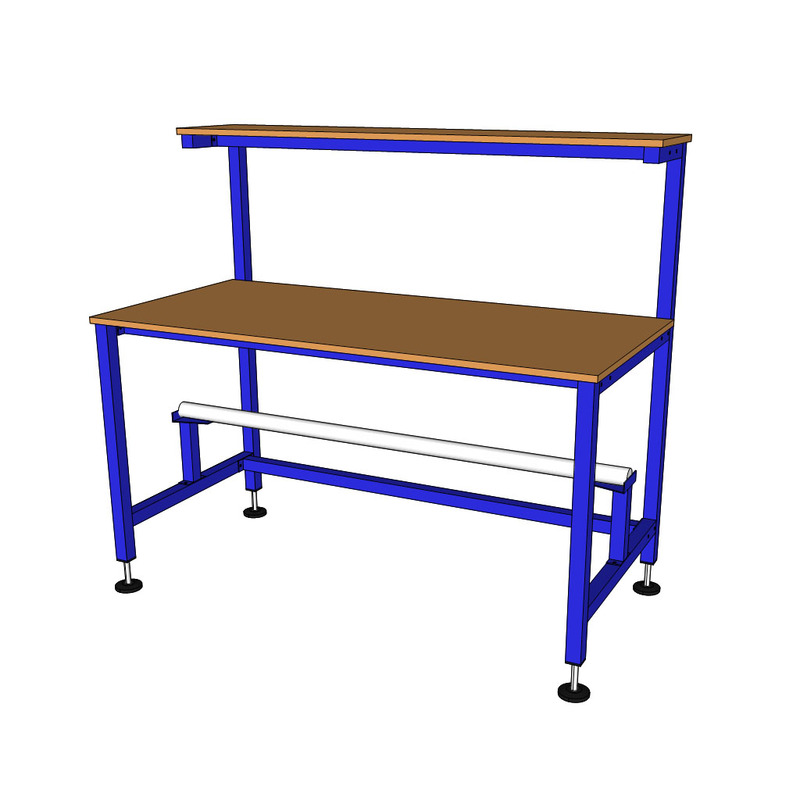 ﻿Robust and durable Wood workbench constructed from solid timber and finished to a high standard. Delivered fully assembled, ready for work. 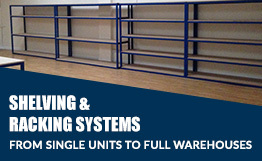 A large choice of sizes, worktop options and accessories are available. 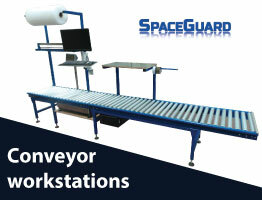 Wood work bench products from Spaceguard are ideal for a range of applications. 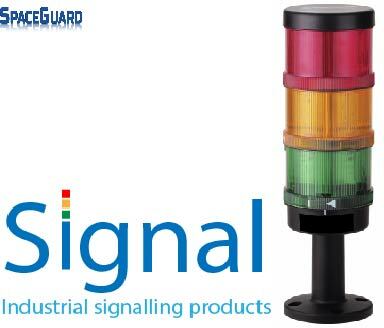 Manufactured in our UK factory, delivered throughout the UK and Europe fully assembled and ready for work. Available in MDF of Hardwood. 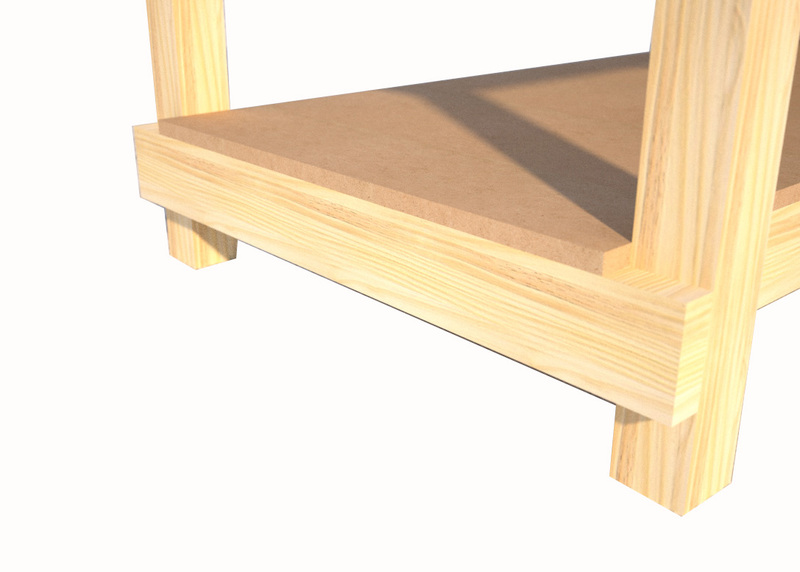 The under bench storage shelf is ideal for the storage of tools, equipment, parts or power tools. 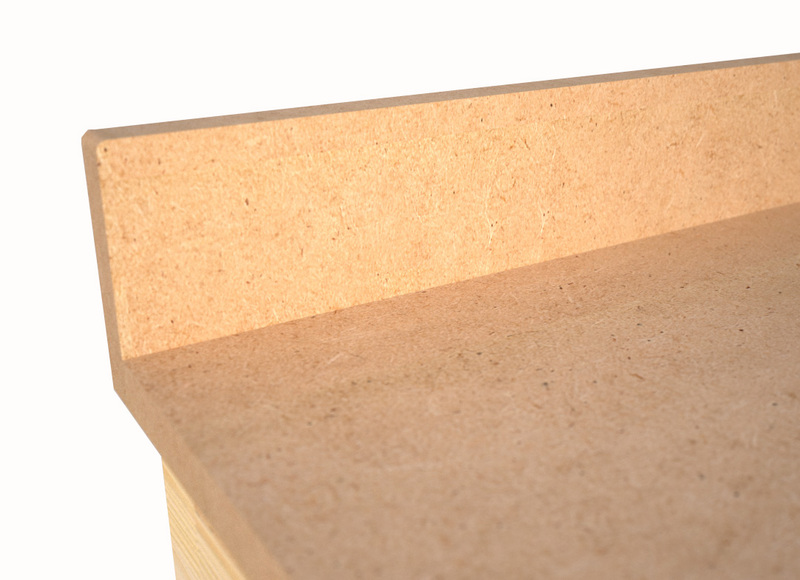 The really useful shelf is fitted as standard in MDF however if a hardwood shelf is required this can be added at a additional cost. 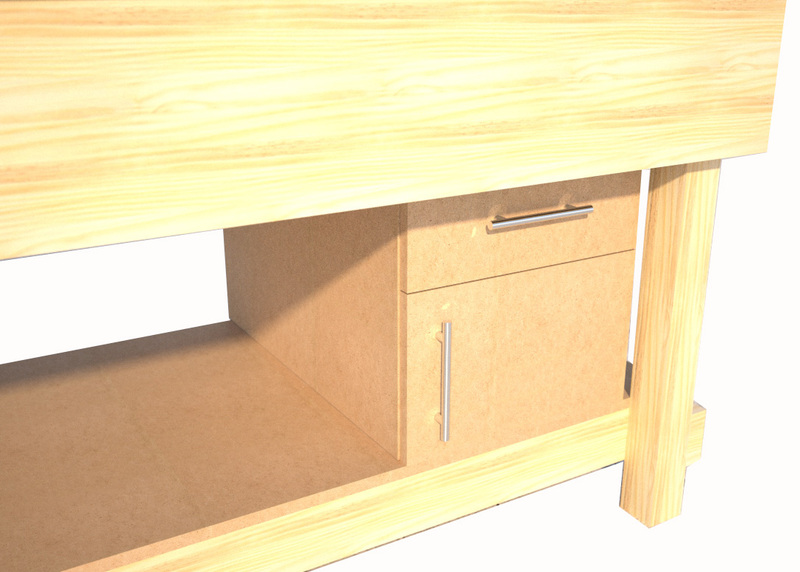 Factory fitted drawers. Mounted on the underside of the wood workbench. 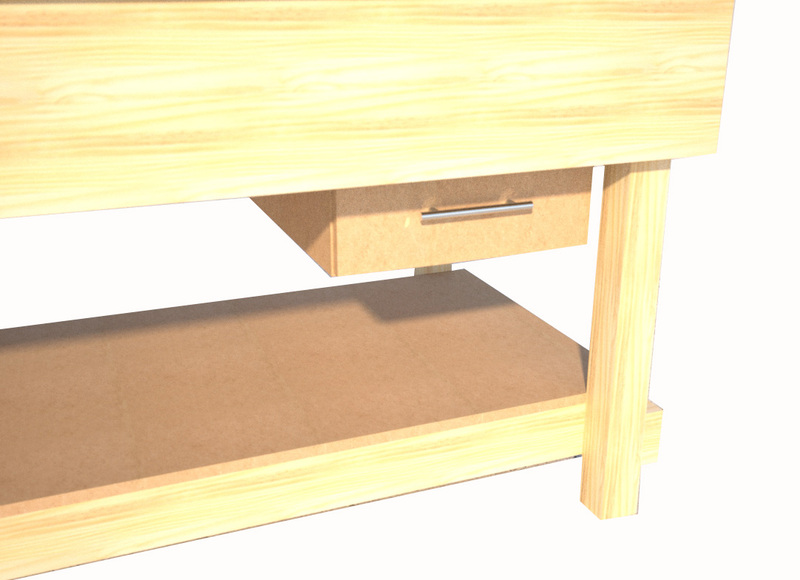 The drawer unit is ideal for tool or paperwork storage, keeping the work area free from clutter. 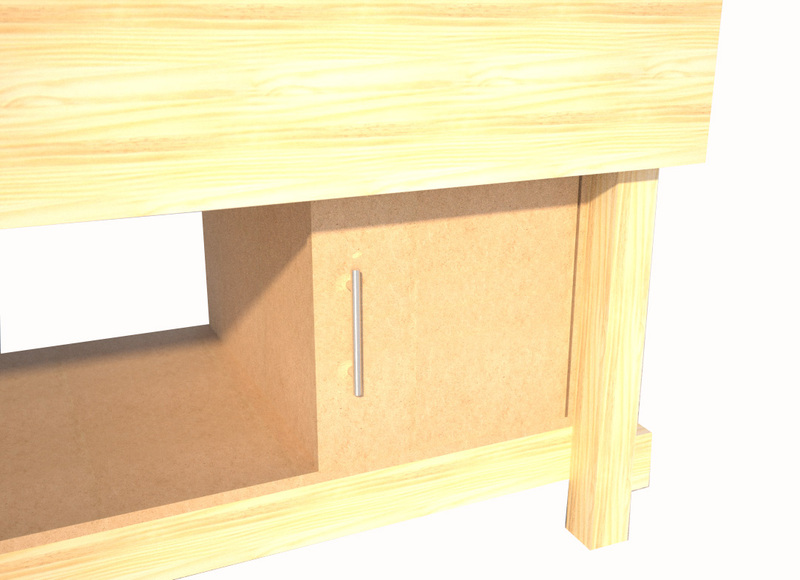 Made from MDF or hardwood as required fitted with a simple handle. 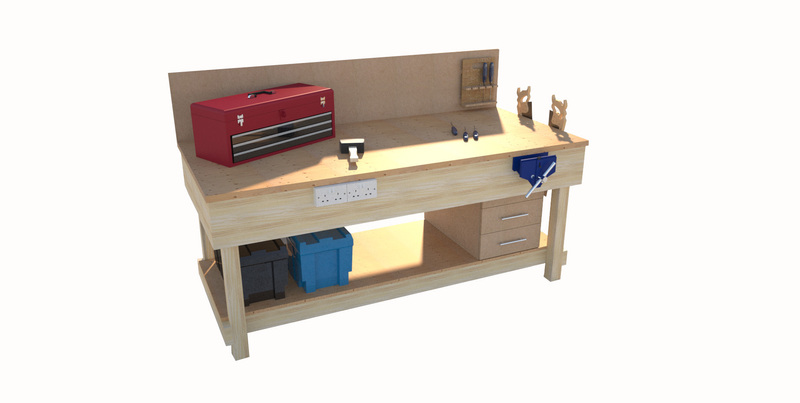 A combination unit of a under bench cupboard and drawer unit is ideal for both power tool or part storage and tool or drawing storage. With the benefit of having both a draw and a cupboard. Manufactured from MDF or hardwood as required. 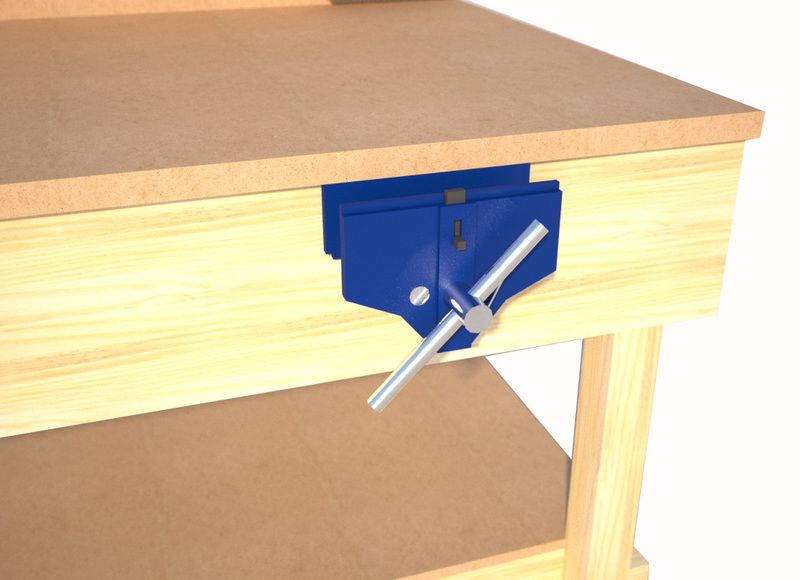 Bench mounted tool holder – (requires bench back board) is the ideal solution for commonly used tools. Keeping them off the bench worktop and stored in an orderly fashion. Screwdrivers or chisels or a combination of tools fit perfectly into the the unit. 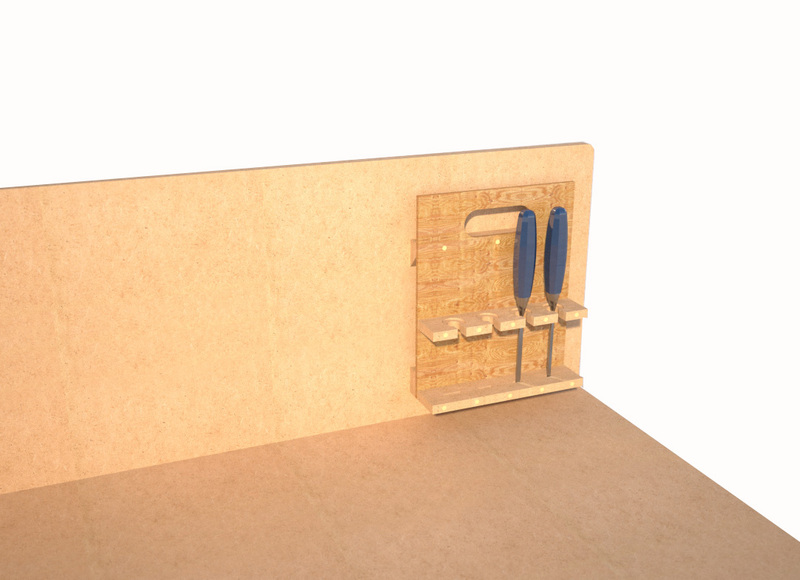 Bench mounted saw holder – used to store wood working saws in a position for easy access. Mounted on the end of the bench, the bench mounted saw holder allows the saws to slide through stopping on the handle. 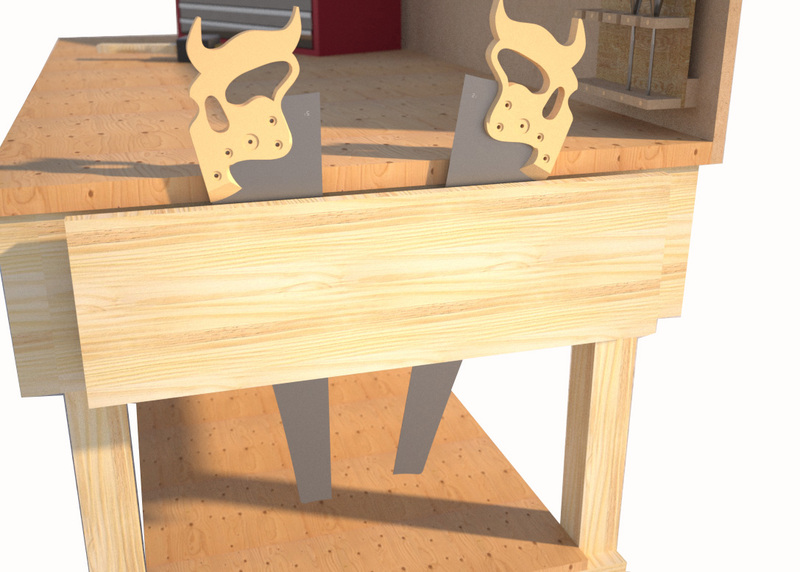 The side of the saw holder allows for some protection against the saw blades at bench level. Bench mounted vice – Factory fitted wood working vice available in two sizes 5kg and 9kg the 9 kg been suitable for more heavy duty work. 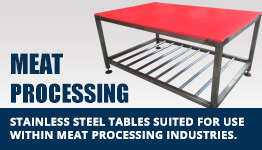 These units are used to secure the work materials in place during such processes as sawing or chiseling. Mounted securely to the wood workbench. Bench back lip. 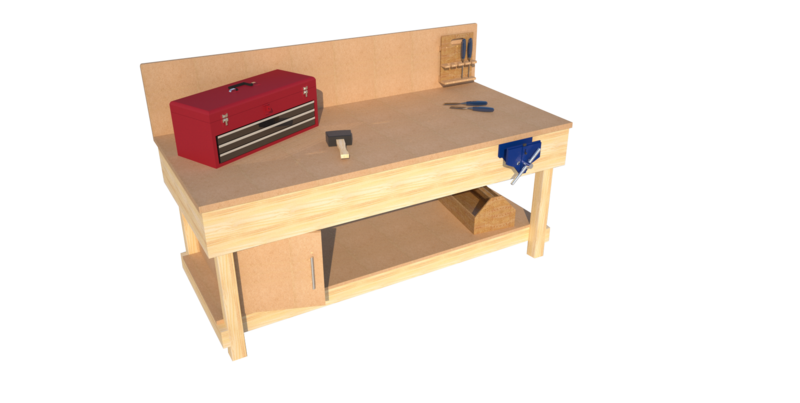 Used to stop tools, material and waste dropping off the back of the bench, onto the floor – keeping the floor area behind the bench clear from clutter and waste. Available in either MDF or hardwood. Sits 100mm high above the bench top. Electrical sockets. 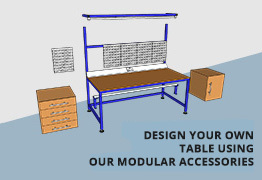 Bench mounted electrical sockets – ideal when power tools are required on a regular basis. 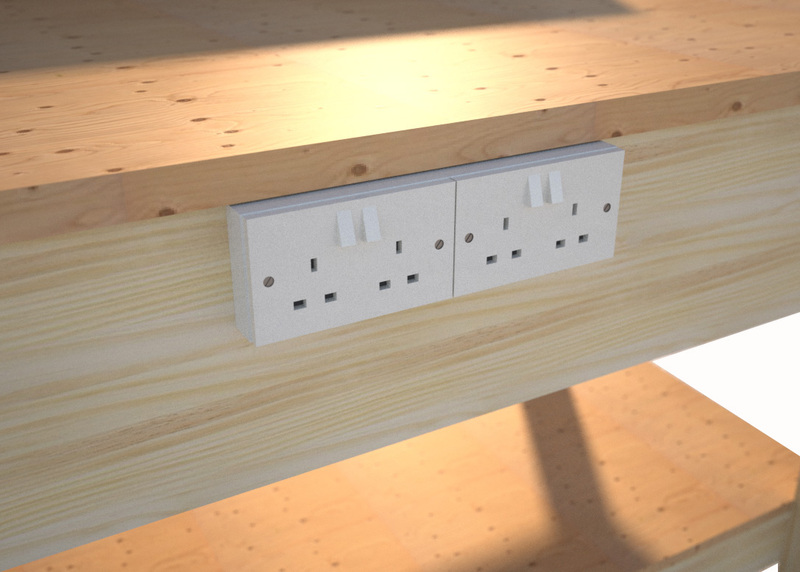 Mounted to the side of the table – removes the need for extension cables – available in plastic or metal sockets. The sockets come prewired complete with a 4m flying lead with 13 amp plug fitted.